Developer Thomas Grubb from RiverSoftAVG has released the RiverSoftAVG Charting Component Suite with support for Delphi XE8 Firemonkey. The charting suite is free for non-commercial use but a commercial license is also available. It provides cross platform with support for Windows, IOS, OSX, and Android through Firemonkey. All source code is provided and has over 19 different chart types which include area, arrow, pie, line shape, bubble, donut, candlestick, and graph to name a few. It supports Firemonkey native effects like bevel, shadow, and swirl in addition to animation as an added bonus. Zooming, panning, selecting chart values, and even changing the visibility of each chart value is supported. For commercial usage you can get a license as part of his Inference Engine Component Suite or seperately. We’ve covered this component suite before because it has support for Delphi XE5, Delphi XE6, Delphi XE7, and AppMethod. 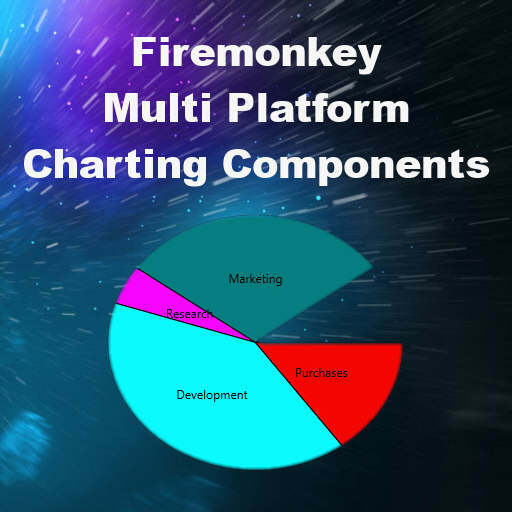 Head over and check out the cross platform features of the Charting Component Suite for Delphi XE8 Firemonkey on Android and IOS.